Archie B makes his Champion Records debut with two slices of house music. His production takes its cues from artists such as Wookie, Brasstooth, Groove Chronicles, MK and Dusky, however his records retain his own sound. Sitting somewhere between house, garage and bass, Archie’s tracks have landed on OneFold Records, CR2 Records, East Side Records and more, with Pete Tong supporting Gassed Up track and Monki giving regular support on her 1Xtra show. 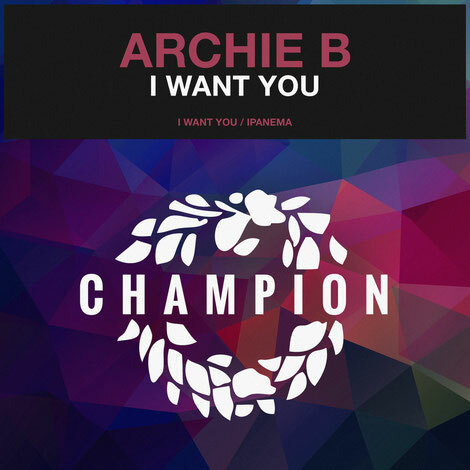 Archie now makes his debut on Champion Records with ‘I Want You’, a two-track EP that continues their remit of aiming to release music from some of the most forward-thinking electronic artists of today. The title track has synths stabs, vocals and low, chugging bass, complimented with percussion. He wears his penchant for classic house on his sleeve without ever getting lost in the past – this is modern house music. Completing the package is ‘Ipanema’. Building itself around a vocal sample, the groove is looser but no less urgent, with the bass and looped vocals building to a crescendo in the break. It’s out 6 April, check it out below.